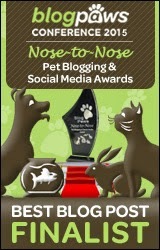 This post is sponsored by Nutrience and the BlogPaws Professional Pet Blogger Network. I am being compensated for helping spread the word about the Nutrience, but Pawsitively Pets only shares information we feel is relevant to our readers. Nutrience is not responsible for the content of this article. Being active with your dog is mutually beneficial. Just like us humans, dogs need exercise to stay healthy. I like the fact that my dog keeps me moving and encourages me to get outside and play, walk, or run. There are many fun ways to stay active with your dog. 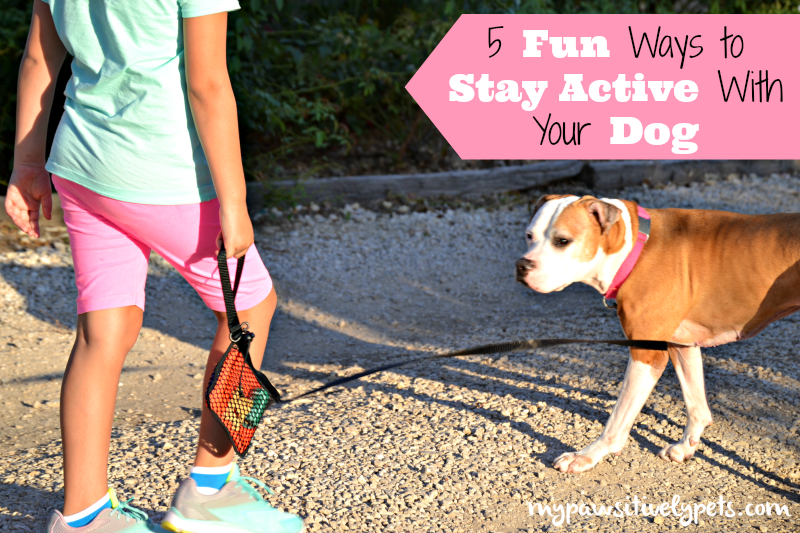 Staying active with your dog doesn't have to be hard! 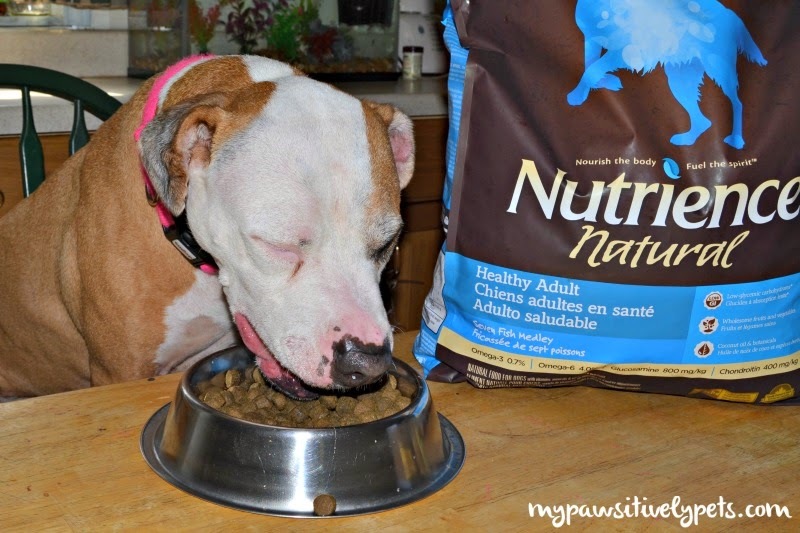 In July, Shiner tried Nutrience Pet Food for the first time. 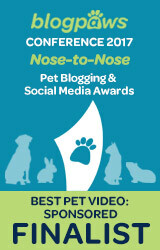 Nutrience wants to encourage pet parents to stay active with their family - including their dogs. Dogs are family members too, after all! Here are a few ideas for easy and fun ways to stay active with your dog. Go for a walk! - Walking your dog is easy, fun, and helps get you both moving. Change things up every now and then and find a new walking route or park to visit. Play Games with your dog. 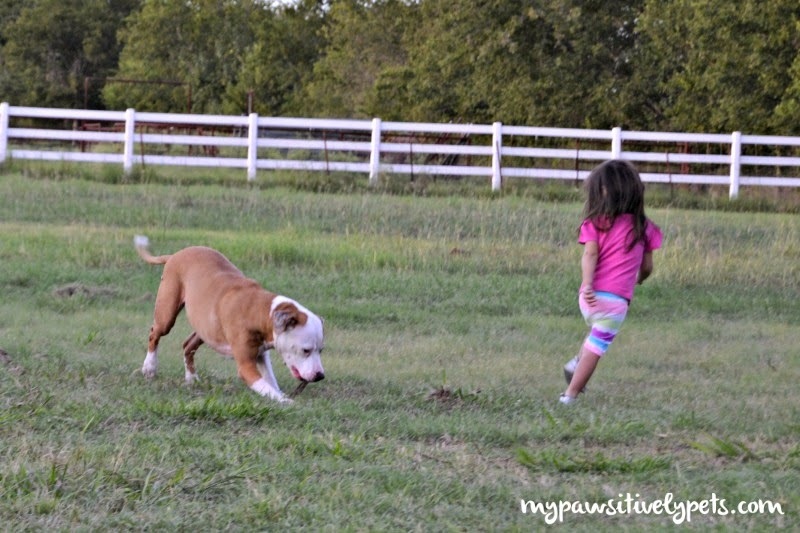 - A favorite fun activity for both Shiner and I is to play fun dog games outside. We like to play catch the treat, which encourages Shiner to jump up. She also likes to play fetch, although she isn't good at returning things. This just gives me more exercise chasing her down anyways. Tug-of-war is another favorite dog game, and Shiner sure does give me a good workout when we play! Make an agility course in your yard. - Get creative and try building your own agility course. Maybe you can teach your dog to jump through a hula hoop or jump over an obstacle. It doesn't have to be expensive or fancy. Go fishing! - In our first Nutrience blog post, we talked about how Shiner was fishing for dog food that supports an active lifestyle. But seriously, fishing is a fun activity you can enjoy with your dog too. Involve your family. - I have two young daughters that also need to stay active and our dog helps me achieve this. Get your kids to get outside and play with the dog too! And of course, every active dog needs a food that will help support their active lifestyle. The Nutrience Pet Food Company is based in Canada, but their food (for both dogs and cats) is now available for purchase in the United States on Amazon. Shiner really enjoyed eating her Nutrience Healthy Adult Seven Fish Medley dog food. Nutrience offers Grain Free, Original, and Natural lines of pet food. The food helped her maintain her active senior dog lifestyle. I liked that the first four ingredients in the food were different kinds of deboned fish. She had no problems while eating Nutrience, and I would definitely feed it to her again. Nutrience prioritizes sourcing their pet food ingredients from world class Canadian and US growers. Fruits, vegetables and botanicals harvested at their peak combined with top of the line meat and fish proteins are at the core of their products. Their quality North American ingredients are backed by a 'No Bad Anything' promise, and they have a unique small-batch production for superior control. Every bag of pet food Nutrience crafts represents an unwavering attention to quality and an ongoing commitment to natural, wholesome nutrition. You can follow Nutrience on both Facebook and Twitter to stay up to date with what they are doing. What are some ways you stay active with your dog? Share them with us! Sounds good to us. Have a wonderful Wednesday. It must be super tasty, she even closed her eyes... that's cute, Shiner! You are so right. Having a dog around forces the human to get exercise. M really misses having a dog to take for a walk. Great and helpful tips! Thanks for sharing. Nutrience has a Halloween Costume Contest going on! 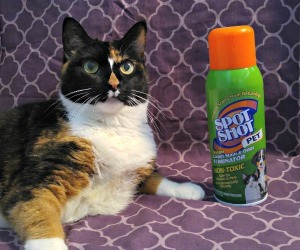 Submit your pet and you could win a Nutrience Prize Pack: http://bit.ly/NutrienceHalloween. Thanks for the amazing review! Sounds like fun! I still need to get some Halloween photos so I'll have to check this out. Thanks and it's our pleasure! We absolutely loved our Nurtience food and any encouragement for humans and pets to stay active together! Great ideas! We have always wanted to take the pups fishing. We are going to have to dive in and try it now! Bets & Co- Sweet. Dog. Life. Great tips, I can't wait to read about the fishing post. That does sound like some very good food Shiner! Sounds yummy and great tips for being active!